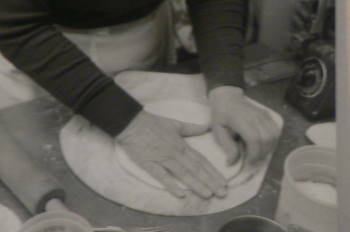 Building a good cake studio is not difficult and it is advisable to purchase the right equipment. 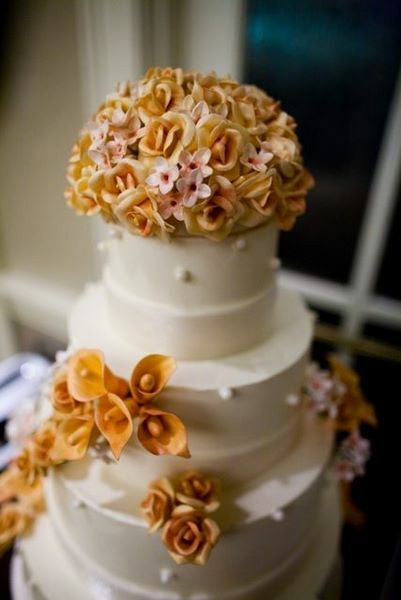 Determine how many cakes you would like to make per week and calculate the through-put which will tell you the size of pieces of equipment necessary to accomplish your production goals. The Deluxe Oven is designed as a gentle convection oven which means it has small fans that gently circulate the air throughout the oven. 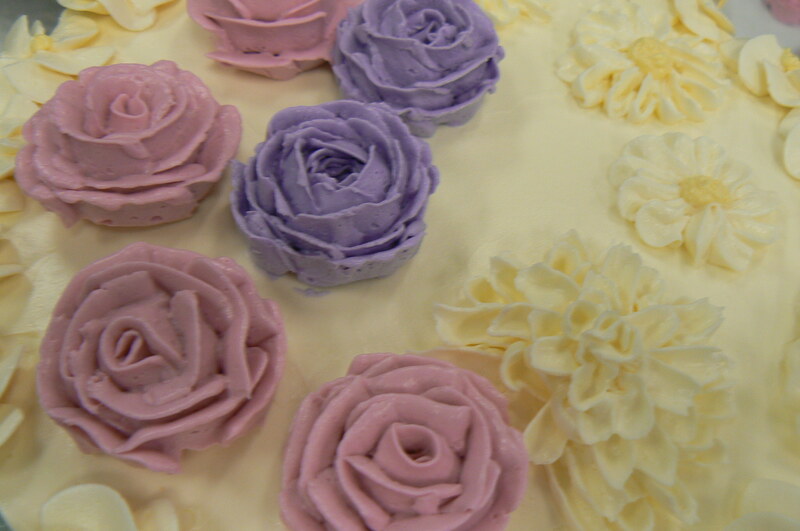 The cakes do not list or get blown to one side as with ordinary convection ovens and they generally come out rather flat on top which reduces waste. The Deluxe gentle convection oven can be stacked. 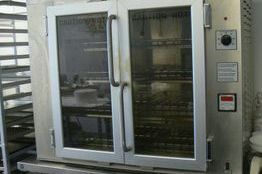 This oven has 4 decks and can bake an enormous amount of cake per shift. 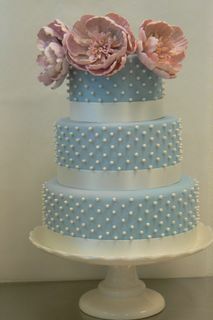 The maximum number of wedding cakes produced in my studio during the height of the season was 10 between my friend Dan Mikosz of Decadence Custom Cakes and myself. 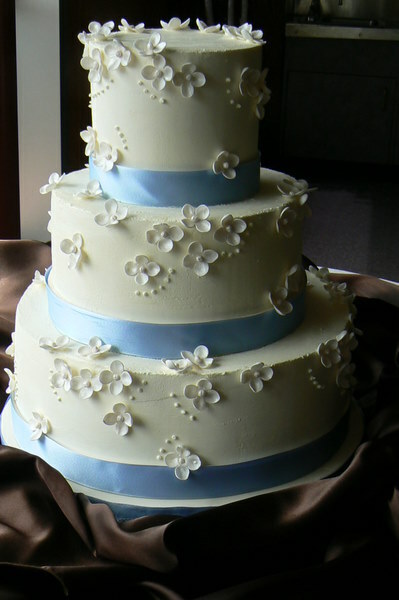 The refrigeration could hold at least 27 tiers of cake. 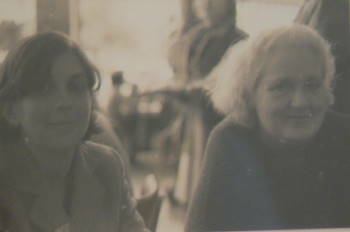 I had True refrigeration and a freezer which was very handy for the kind of production that was done in this studio. We were able to produce as much cake as we did because the cakes were freezer friendly. 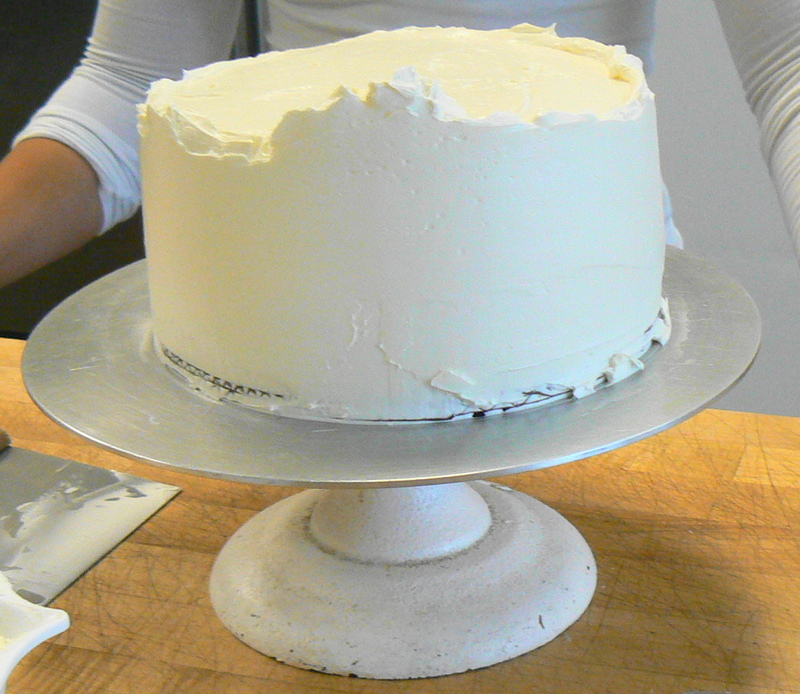 When you fill a chiffon cake with a mousse you can easily freeze that tier of cake as long as you don’t ice it until just prior to the event day. Chiffon cakes are very freezer friendly and our production week started on Tuesdays with the event day being either a Friday or Saturday or Sunday. I would not freeze cakes longer than a week or so unless you have huge production and a walk-in freezer with racks that I know as covered wagons. Reach-in refrigeration is perfect for small production. 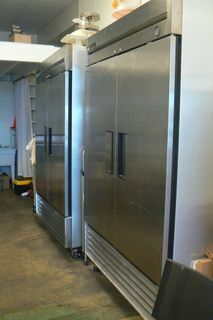 These are True T-49 large capacity reach-ins..one is a refrigerator and one is a freezer. They serve a small studio very well. 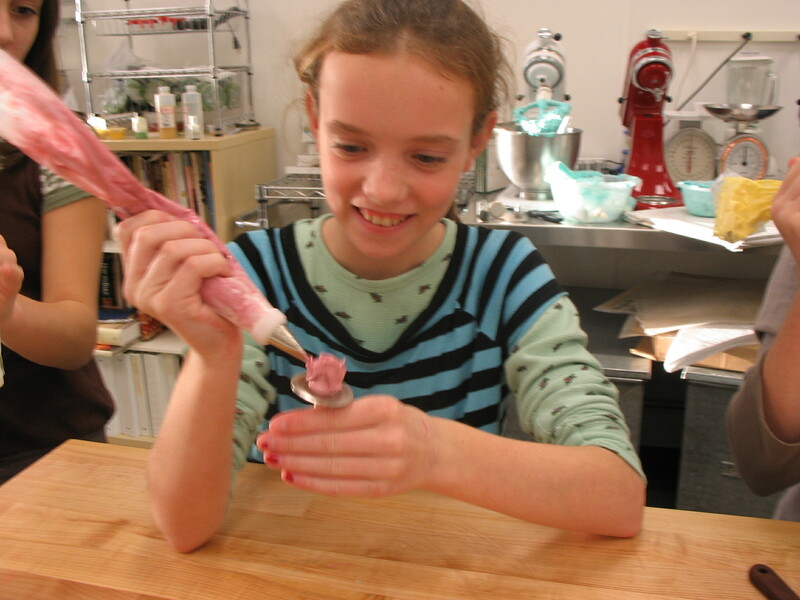 Mixers are essential for any sort of well run cake studio. The 20 quart Globe mixer could easily make over 10 pounds of buttercream at one mixing and the 40 quart could make over 20 pounds of buttercream at a single mixing not to mention enough cake batter to completely fill the oven. 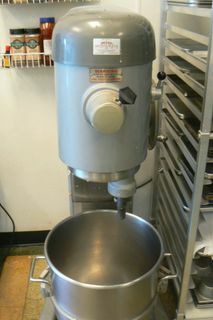 This 20 quart mixer is an essential piece of equipment for any cake studio. Here is a picture of the beloved 40 quart Hobart. 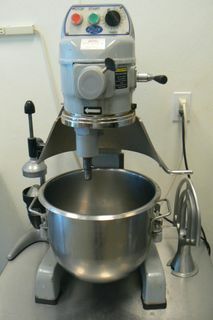 The 40 quart Hobart is actually a petite floor model and for small cake studios, this mixer is ideal. So this is an overview of some of the pieces of equipment you will need if you wish to build a small cake studio. Remember that certain pieces of equipment need to be on dedicated electrical outlets. 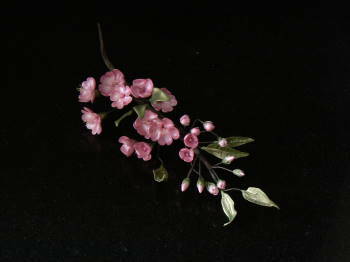 If you care for your equipment well it will serve you for years and years.